Peugeot has beaten its competitors in the race to produce the first diesel hybrid car, combining the fuel efficiency of a diesel with the lower emissions of a hybrid. 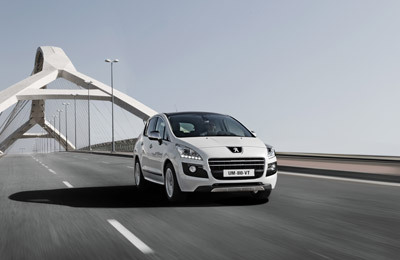 Named the 3008 HYbrid4, the vehicle has a 2.0L diesel engine, combined with an electric motor. It is capable of two and four wheel drive and also has a ZEV - "Zero Emissions Vehicle" mode where it can be powered soley by the electric motor for short distances - like the school run or a trip to the shops. Performance-wise, the car has a maximum speed of 130 mph and can reach 62 mph in 8.8 seconds. 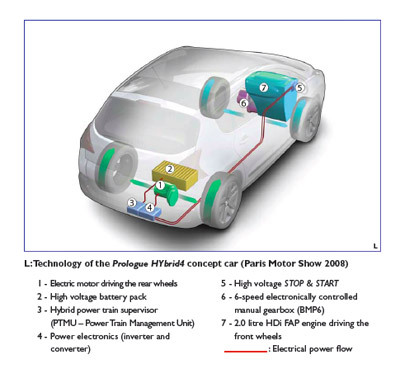 The structure of the car was designed to ensure good aerodynamics, lighter weight, with high safety factors, and Peugeot believe they have achieved this by using modern techniques like laser welding.While the traditional engine is located as usual under the bonnet and drives the front wheels, the electric motor is located at the back near the axle and powers the rear wheels. 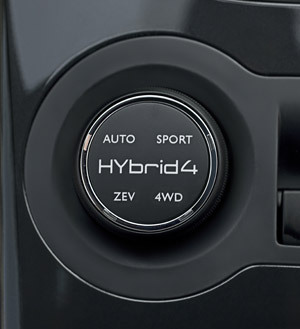 It can be used in four modes: ZEV, 4WD, Sport (for power), Auto (for efficiency). Features include a head-up display for the driver, similar to that used in aircraft, a distance alert warning drivers if they are too near the car in front, an automatic electronic parking brake, and a hill assist, which helps moving off from inclines. 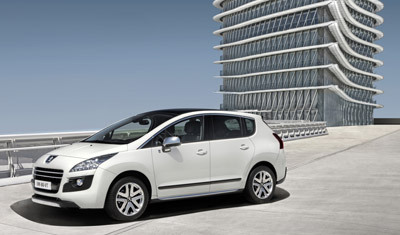 The 3008 HYbrid4 will reach European car showrooms next year, costing around 30,000 euros or £25,000.